Today the men rule on cooking with nitu 🙂 Another lovely recipe sent to me by Kumar Sadhwani from Pune. Upma is a popular breakfast or quick snack in many homes. I personally dont make it as in my house no one eats it so i am so grateful for this recipe. Splutter the mustard seeds in hot oil then add the garlic until slightly fragrant. Add the onion and curry leaves along with the green chillies followed by the carrot. Sauté for a while then add the semolina and cook for a while to remove the rawness of the semolina. Add the peas, salt and a touch of turmeric (optional) and some raisins (again optional but ma loves raisins in upma.) add three cups of water and bring to boil while stirring. Cook on a lower heat covered until the liquid is absorbed. Garnish w roasted cashews and coriander. 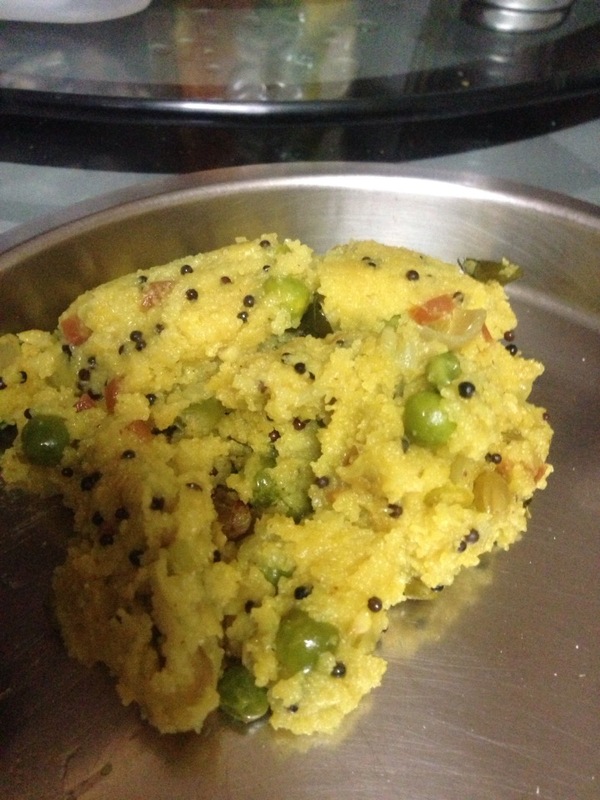 This entry was posted in Breakfast, Everything Vegetarian, Healthy Options, Ideas for meals, Low Cost, Veg Starters, Vegan and tagged breakfast, eggless, healthy, semolina, vegetables, vegetarian. Bookmark the permalink.